This post is brought to you in collaboration with Big Fish Games, all opinions are my own. I love matching games. Something about their challenging nature and puzzling ways has me going back time and again for more. The trouble? I get stuck on a level and start looking for the latest and greatest one to hit the market. One of my favorite app creators Big Fish Games, has released a brand new matching game app, and I have already jumped on board and tried it out. Released yesterday, Gummy Drop is a wiggly jiggly bundle of matching fun! One thing I love most about the new Gummy Drop app is the theming. 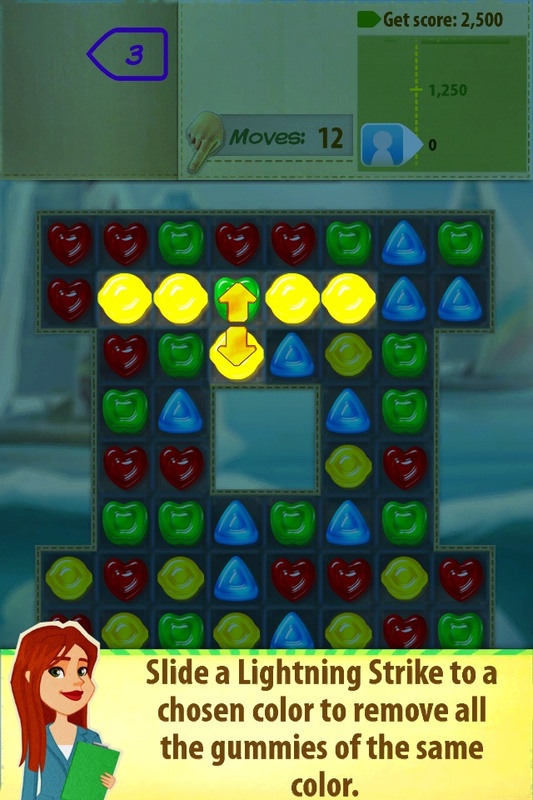 In this matching game, you travel around the world, trying to match up and take care of the gummies that are threatening to destroy all the great monuments of the world. Solve the matching puzzles, collect awesome boosts, and building materials that you can use to recreate great structures from around the world like the Sydney Tower. 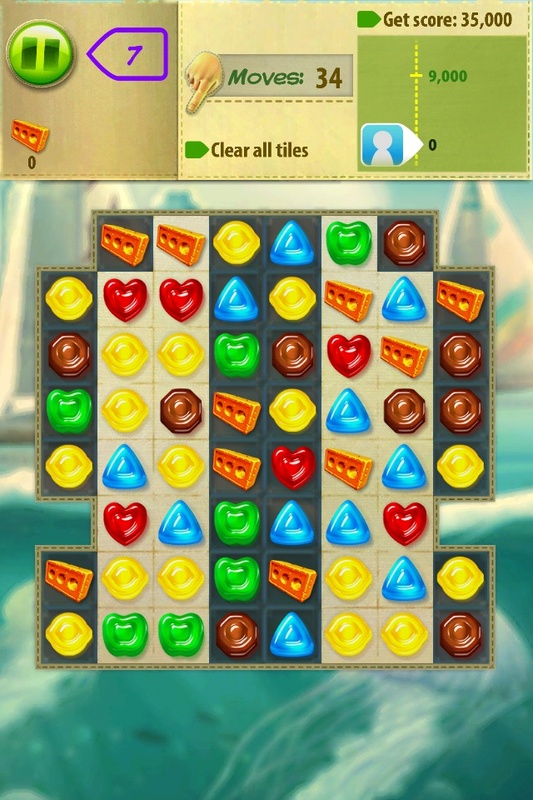 As you progress through the levels, they get more challenging, and you have multiple goals that must be met. Collect bricks that you can use to create new buildings at the end of each "land". 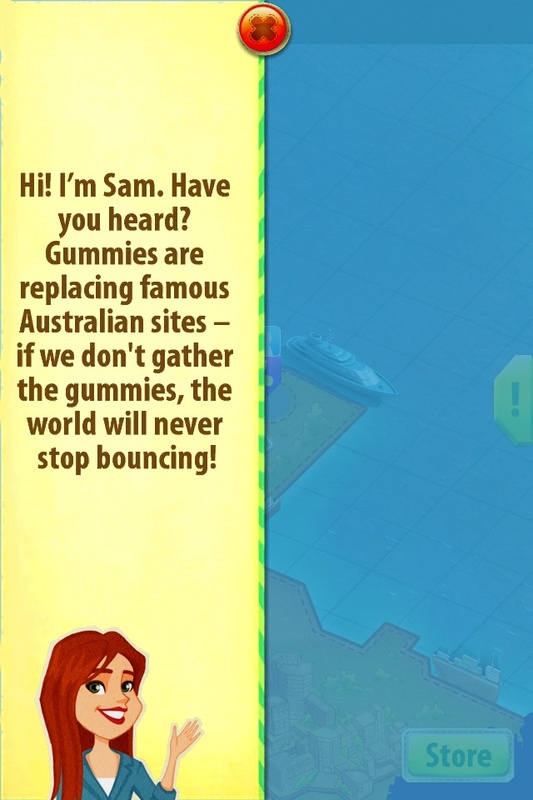 Begin your journey in Australia and travel around the globe matching gummies as you go. There are also fun surprises in this game. Out of moves? You can try your luck on the spinning wheel to get more every so often. Place a lot? You will be rewarded with lottery tickets, scratch and see what you win! There are also daily events and quests, so come back day after day for more unique playing fun. 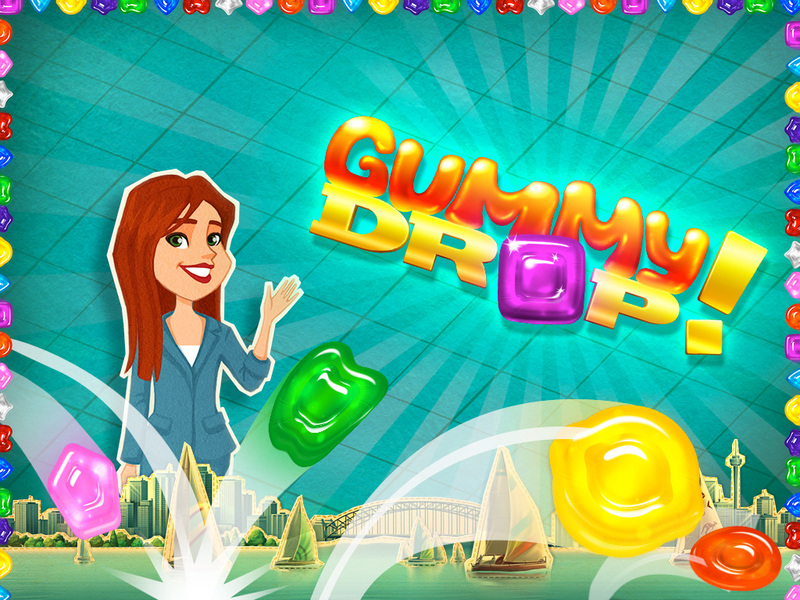 Best of all, Gummy Drop is a free app available in the iTunes app store right now! What are you waiting for? Go download Gummy Drop today for some jiggly fun around the world! It's a bird, it's a plane, no it's a gummy! That game looks so cute & totally addictive. Thanks for sharing! Okay, I love games like this! It looks like it might be really addictive! Is it? I love Big Fish and matching games. Love how colorful this looks! This is such a fun app! We have been loving it! This reminds me of candy crush. I am totally downloading it right now!! I love Australia and am a huge fan of fun little games like this, I will definitely be checking this one out! That's definitely a game to keep entertained while traveling. What a fun game! I love things like this. HA - I only play these games when I travel (which is a LOT!) so this is PERFECT! I am off to download now! What a cute app! These would go well with me as I love gummies.